Can’t wait for OS X Mountain Lion to be released this summer? You can get many of the features of the next generation Mac OS X version right now. Whether you are running OS X Lion or to an extent, OS X Snow Leopard, read on to find out how to get everything from notifications, note syncing, synced reminders, iMessages, the simplified Safari UI, Twitter integration, AirPlay mirroring, and much more. First things first, let’s make OS X Lion look a bit more like Mountain Lion. 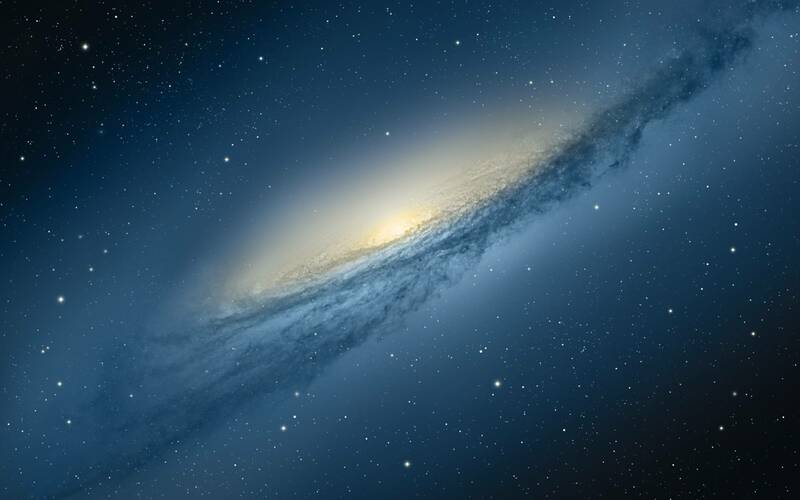 The easiest way is to get OS X Mountain Lion’s lovely new galaxy wallpaper and set it as your default, click on the image below to download the full sized version. This is amongst the most basic thing you can do, but who doesn’t like a good wallpaper anyway? 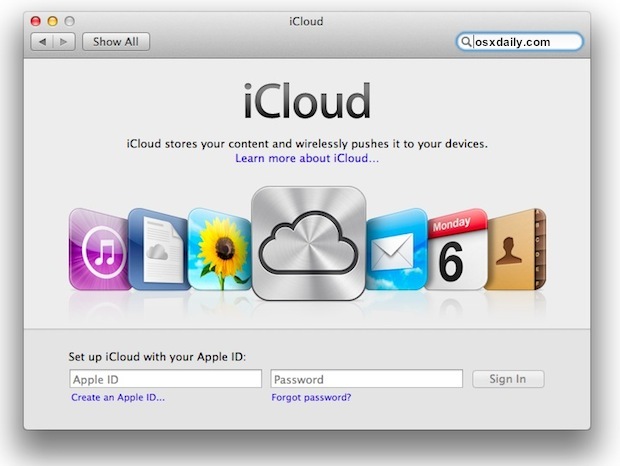 iCloud is deeply integrated into OS X Mountain Lion, from file save dialogue boxes to just the simple ability to sync things like Contacts, Reminders, Notes, music, apps, and more. The good new sis that much of this is already available to users of OS X Lion and iOS 5 or later. You should have set it up already, but if you haven’t done it yet, do it now and start syncing things between iOS and OS X now. It’s free, there’s no reason not to use it. iMessages has come to the Mac to replace iChat, allowing for unlimited communication and file transfers between Macs, iPad, iPhone, IPod touch, without ever using a single SMS. Messages for Mac is a public beta that is available to download right now from Apple. 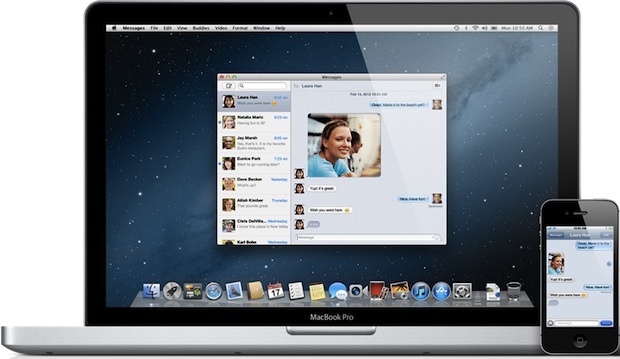 This will replace iChat, but you can always uninstall Messages and get iChat back if you want. 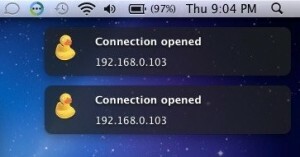 OS X Mountain Lion brings Notifications Center from iOS to the Mac desktop. For OS X Lion users, you can mimic similar features by getting the free Growl fork for Lion to start getting notifications from compatible apps. Like Notifications Center’s alerts, Growl alerts will pop-up on the right-side of the screen, although there isn’t a fancy swipe gesture to reveal and hide the alerts panel like there is in OS X Mountain Lion, it’ll get the job done. Safari in Mountain Lion cleans up the UI and combines the URL and search bar into a single bar, much like Chrome. We’ve covered Omnibar before, you can either get the full-fledged SIMBL version or grab a Safari Extension directly from Apple’s Safari extensions site, just click on Search Tools, find OmniBar, and click “Install”. 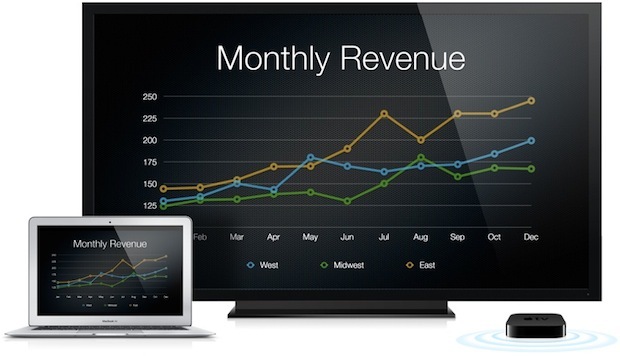 AirPlay Mirroring is built into OS X Mountain Lion and will allow you to mirror your Mac screen to an Apple TV. This is a great feature, but rather than waiting, you can mirror your Mac elsewhere right now with the help of the AirParrot app. It costs $10 and is a cinch to set up, created by the same guy who built the Reflection app that mirrors iOS to Macs, that latter feature is lacking in OS X 10.8, however (fingers crossed). If you don’t know what you’re doing, you should probably keep it disabled for now so you don’t accidentally prevent yourself from installing apps and get encumbered with developer logs. For the curious, you can read more about spctl at Apple.com. Share Sheets is OS X Mountain Lion’s built-in social functionality, allowing you to easily send a tweet, upload a picture, send a link to Safari’s Reading List, email and message just about anything, post pictures to Flickr, upload videos to Vimeo, and more. Share Sheets work from just about anywhere, and the simplest way you can mimic the feature now is to sign up for a Twitter account. Then grab the free Twitter for Mac client, (follow us there while you’re at it) and learn to tweet from anywhere. You can take things further by adding Share Bookmarklets for your web browsers from Twitter and Facebook too. 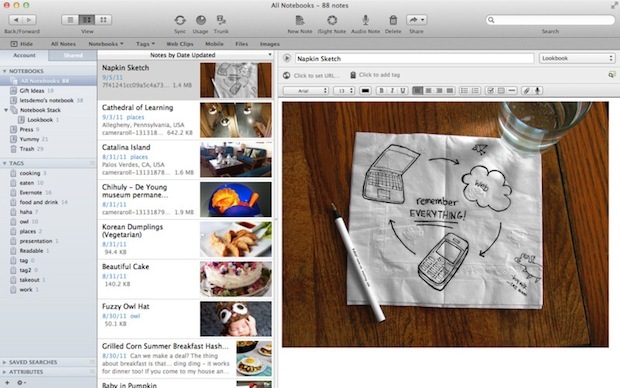 Notes in OS X Mountain Lion will sync the Notes app between Macs, iPhones, iPads, iPods, or all of the above. It’s a long great feature, but frankly the Notes app is a bit limited, and you can get an app with the same universal syncing functionality for free right now. Evernote is a free powerful app that seamlessly syncs just about anything you can store in the app between a Mac, iPhone, iPad, iPod touch, or anything else running the Evernote app. The service is free as long as you upload less than 60MB of notes per month, which if you think about it, is a ton of notes. The same Reminders app that is on your iPhone or iPad right now is coming to the Mac, and it will be synced through iCloud. Wunderlist does this and even exceeds some of Reminders features, it’s a free app that syncs task lists between Macs, PC’s, iPhones, iPads, you name it. That just about rounds it out, if we missed anything or you can think of anything to add to this list, chime into the comments below! Of course, if you don’t want to mimic Mountain Lion, you can set up a dual boot between OS X 10.7 and OS X 10.8 and try it out yourself. Yes, I do already use iCloud to sync between my newer MBP and iPad, but what has happened to the long-predicted OS 10.6.9 that OSXDaily was telling us about last August and that would supposedly provide support for iCloud on my older, non-Lion-compatible MBP? Well if you wan’t to get almost those sharesheets you can use this Safari Extensions which I’ve done to share easily from Safari to Twitter, Facebook and by Email, you can get it – http://sy.pe/BMhG here. Be careful with airparrot, it doesn’t work with several video cards listed on the FAQ section plus NVIDIA 330M and probably others. Try Producteev instead. I moved from Wunderlist for the same reason and am happy with Producteev – also free. I was using all the above mentioned applications anyway. At least there’s the wallpaper. To AirPlay audio (to mutiple AirPlay devices such as AirPlay speakers, receivers, Airport Express and Apple TV ), AirParrot is not the right tool. You might want to use Airfoil or Porthole (getporthole.com) for that.